Some of our online courses and conferences do have a cost associated with them. If there is a fee, payment can be made with a check or a credit card. As of January 1, 2018 we no longer accept cost transfers. 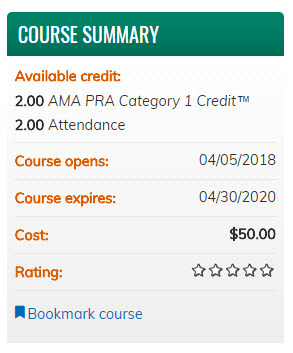 The Course Summary box on the Overview tab will display a cost if there is one associated or in the Register tab the price will be displayed (see images below). 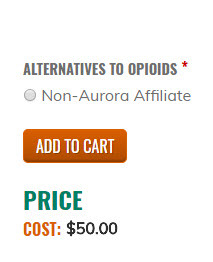 Make your selection, click Add To Cart and follow the directions to complete payment.